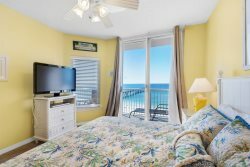 Looking for a nice quite Soundside vacation rental in Navarre Beach, FL? Enjoy vacation rentals with beautiful views and easy access to the water. Enjoy fishing, beautiful sunsets, relaxing by the pool, and much more during your relaxing stay here. Browse our available listings and book your vacation today!